Portrait Workshop - website:www.portraitworkshop.com blog:www.caricature.com.sg: Caricature theme - "Here comes my hero!" 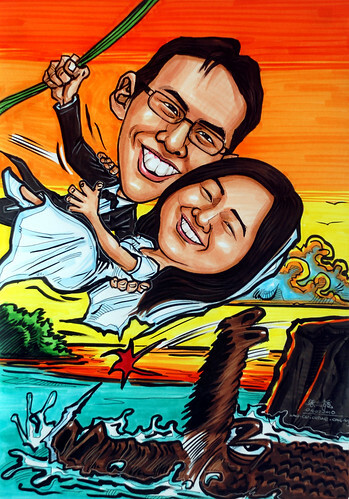 Caricature theme - "Here comes my hero!" ....Have seen your work, really like it. Btw I got the idea off here, so hanging off the arm would be something like, http://www.portraitworkshop.com/images_caricatures_portraits/caricatures_in_colour_theme_2/Caricatures_145.jpg "